California is currently battling two different disasters as the Thomas and Skirball wildfires consume homes and take lives in the southern part of the state. Photos and videos coming out of the area show terrifying, apocalyptic scenes as people flee their homes and respond to those in need. In such a terrifying time, the community is coming together to lend a hand to their unfortunate neighbors and show that they’re #venturastrong. 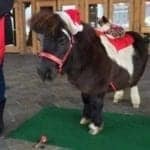 According to TheHorse.com, more than 80,000 acres have been evacuated in the affected areas, and hundreds of horses have had to be moved from their homes. 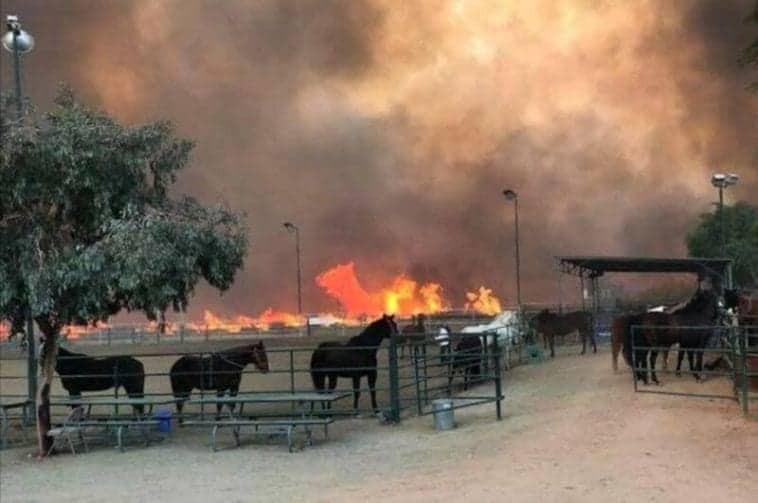 The Ventura County Fairgrounds is currently at capacity for horses who have had to leave their homes, but the local equestrian community is opening the gates to their ranches and equestrian centers in safe areas to those who need to board their horses. It’s a huge relief to those who are uncertain if they’ll have a home to return to, or who have lost their homes already. 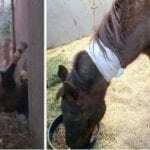 Still, it’s hard for some to say goodbye to their horses for even a short while at such a stressful time.